With an experienced tour guide, you will embark on this exciting rafting tour equipped with the necessary essentials such as life jacket, helmet, wetsuit and raft. 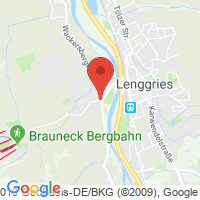 Learn the proper paddling techniques on the moderate whitewater course on the River Isar and travel 11 km to Bad Tolz. Once you reach this destination, you will be transferred back to Lenggries. A lot of fun, thank you! Loved the whole experience, the fun part, the tranquility, the nature, the excellent and experienced guide, Ben. On the down side, perhaps it was a bit slow....would have loved more waterfall bits....but we were inexperienced, so perhaps it was for the best. Yes, I would recommend Regiondo to my friends. Tolles Erlebnis, egal bei welchem Wetter! Wir hatten sehr viel Spaß, auch wenn es kalt war und geregnet hat (wir sind trotzdem ins Wasser gesprungen). Die Guides haben einen tollen Job gemacht und es war alles in allem ein sehr lustiger und erlebnisreicher Vormittag! Definitiv empfehlenswert!!! !